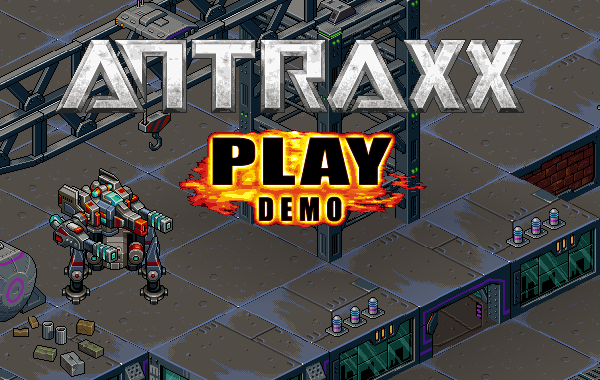 Post news Report RSS	Antraxx - Multiplayer Alpha Demo - OUT NOW! After many sleepless nights, sweat and tears the time has come for us to happily announce our first public multiplayer demo. Before you start playing we would like to emphasize that this demo is pre-alpha and nowhere near a finished product. We hope you realize there are many features and graphical gimmicks that will need work. Please expect to see a lot more polish on this in the finished game product. We hope you understand this is a pre-alpha demo with crucial development goals, not a glossy marketing demo. We have made a conscious decision to not devote time polishing this demo any further and instead focus on getting feedback sooner rather than later, so we can properly respond to it. This will only benefit the final quality of the game. We know some of you will have concerns over the demo’s visual quality and gameplay, but that is normal for a product this far from release. The opinion of you, the player, mean a lot to us, and we will value any feedback we receive. Logistics - Aiding your teammates with a remote armor repair / energy transfer. To keep things organised we have set up two mega threads on our reddit. Please, if you have any feedback, feature requests or bug reports post them in there. It totally helps us and we really do appreciate what people think and experience! We would like to address that anyone is free to invite their friends to play, to create “let's play" videos or even stream the gameplay. We hope you have our back, soldier, because things are about to blow up! or alternatively.. if you dont want to play.. you can spend your days chilling at the docks.. Wonderful sneak peak at your WIP. I am looking forward to the many features this game will have. The art style is beautiful! Keep at it! We actually have our first destroyable object implanted. Its the barrel we show on the main page on indiedb. This one is also destroyable ingame. There will be more of this in a later stage of development. It needs work. Looks cool. One looks very similar to Timberwolf :P. MW IP :D .
Right now we only have a live build playable trough web-browser. Though, around November a downloadable early access version will be available on Steam. Awesome to have you so excited for it! Every time I try the demo, it connects, I select a mech, click "Drop In" and then it disconnects me. thanks for the replies Booman and EyeMakeGames! Is there anything in developer tools console on chrome for you guys on your disconnect?